The following declarations are those from the federal government. To see state of emergency declarations from Utah’s governors, click here. To see EOC activations, click here. 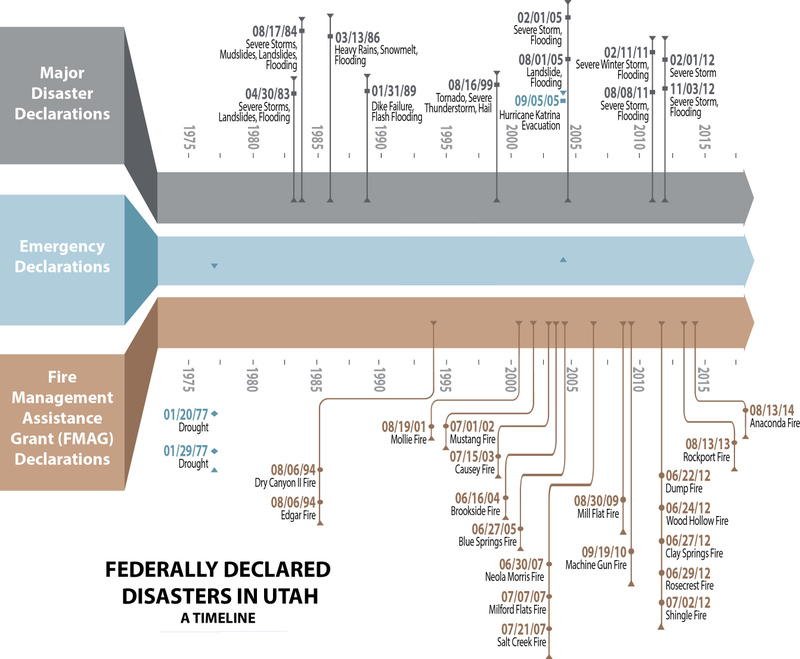 Ten of Utah’s 12 disasters have involved flooding. Two were related to wind.